Waterproofing with a 4mm(plain surface) torch-on-waterproofing membrane and UV protected with two coats of heat/light reflective silver aliminium paint. 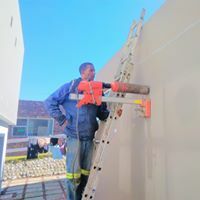 Utilising superior material and spesifications that is: Polyurethane Torch-on Bitume, No-flame bitumen tile ready and sliding door waterproofing material. 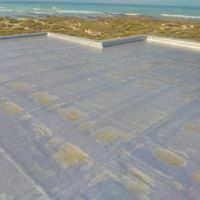 Exceptional durable waterproofing methods and material in Construction and Renovation of roofs. Waterproofing and Servicing of new and Old gutters. Getting rid of the irritating chimney leak forever. Specialising in Retaining Walls fitted with agricultural drains as well as tanking of underground structures. Waterproofing and sealing of Planter Boxes and Roof Gardens according to spesification, to ensure a lifelong stressfree plant environment.